1. Water thoroughly after planting, then water once or twice a week, applying enough water to wet the soil to a depth of 12-18 inches for trees and shrubs or 6-8 inches for annuals. If you're not sure how much water this is, do this easy test. Water your garden, wait an hour or so to allow the water to sink in, then dig a hole about 1 foot deep. Is the soil moist at the bottom of the hole? If not, water more. If it is sopping wet, water less. 2. Water your garden in the morning and containers in the afternoon. Research shows that containers watered after noon outperformed plants that were watered in the early morning. 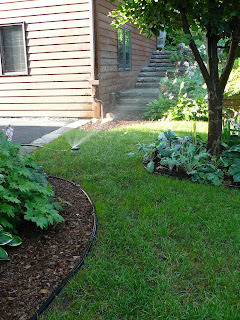 The optimal watering time for the rest of the garden is early morning before the temperatures start to rise. 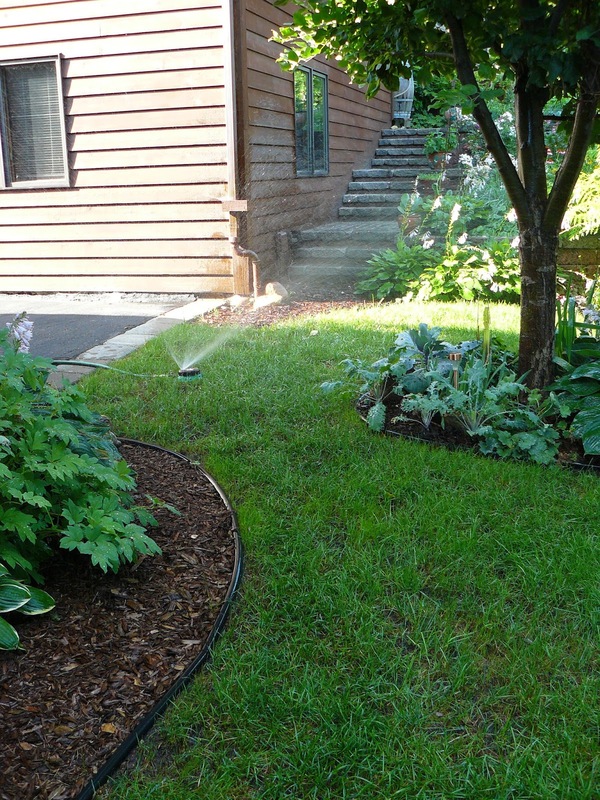 Avoid evening watering, as this can lead to fungal growth. 3. Mulch, mulch, mulch. Up to 70 percent of water can evaporate from the soil on a hot day. Mulch is one of the best moisture holding tools you can use. Use coarse mulch at a depth of 3-4 inches. Rock mulch might look pretty, but in full sun, rocks can heat up the soil. 4. Xeriscape. Select plants that are drought tolerant. Many of these plants require less water throughout the season. One way to tell if a plant is a good choice for your xeriscape is the color of its foliage. Plants with silvery foliage, such as many of the herbs, are almost always drought tolerant. Some examples of these are the Artemisia, catmint and Perovskia (Russian sage). Other drought tolerant flowering perennials include black-eyed Susan, Rudbeckia; butterfly weed, Asclepias; and obedient plant, Physostegia. For more information, visit www.arboretum.umn.edu/droughttolerantplants.aspx. 5. Increase organic matter in your soil. Organic matter absorbs many times its own weight in water, which is then available for plant growth. One of the easiest ways to build organic matter is to add compost that breaks down to humus. This has an amazing potential to hold moisture, nutrients and build soil health. It has a buffering effect against drought and plant stresses too.